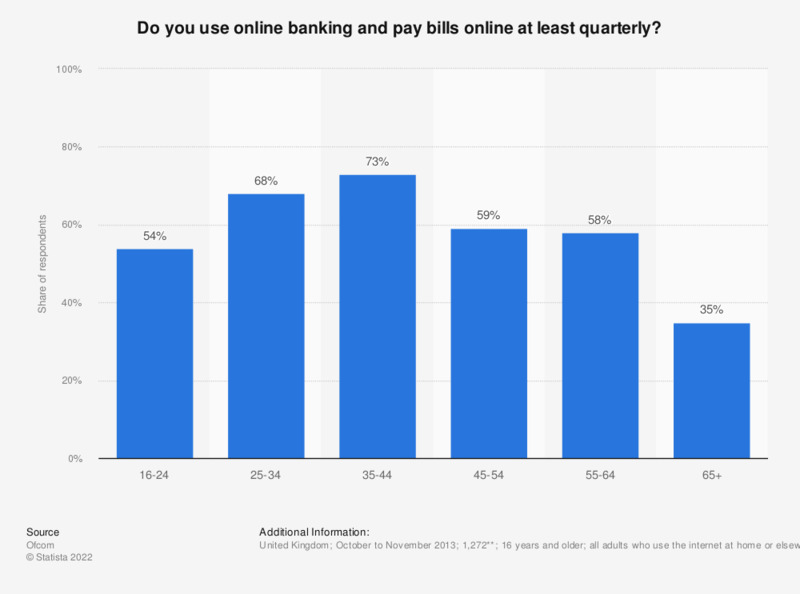 This statistic displays banking and paying bills online at least quarterly in the United Kingdom in 2013, broken down by age. In 2013, 73 percent of respondents aged 35 to 44 reported using online banking and paying bills online at least quarterly. Statistics on "Internet usage demographics in the United Kingdom (UK)"